I started a new job last year, my first big-girl, all-day-every-day, grown-up job. It’s been challenging, figuring out how to manage my now much more limited free time. I feel like I’m constantly dropping the ball on something, but I suppose there has to be some give and take. And if I’m giving up my free time to be able to afford my apartment, well… that’s just a no-brainer, isn’t it? But my job has a great perk- I’m still in a creative environment, and I get to see new, beautiful things made every day. 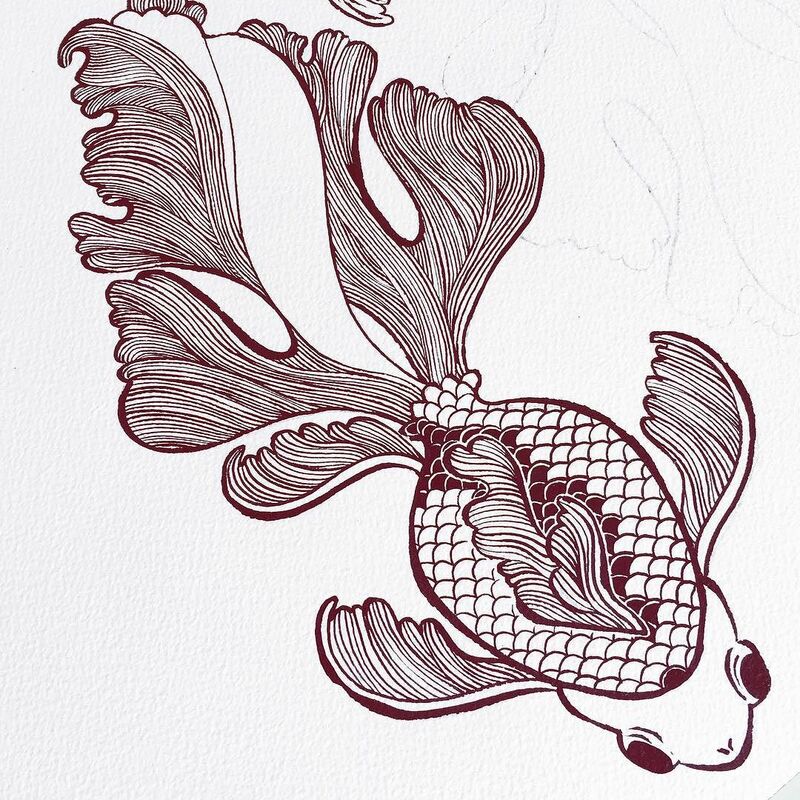 These goldfish I’m going to start working on will hopefully be a marriage of my artwork, and the new resources available to me at my day job. We’ll just have to wait and see what shakes out!